And I'll admit that I DID have a certain Spaniard on my mind when I decided to finally visit Barcelona. But it wasn't a young, hunky footballer or flamenco singer or anything like that that I was dreaming about. The guy on my mind was a dead one: Antoni Gaudi. Antoni Gaudi was one of Catalunya's most famous architects. In fact, I would argue that he's one of the most famous modern architects in Europe. Gaudi practiced a form of architecture known as Catalan Modernism, which is an Art Nouveau-style architecture that is influenced by nature and the natural shapes and forms found in the world around us. Many of Gaudi's most famous works can be found in Barcelona — and I wanted to see as many of them as possible. On my very first morning in Barcelona, I hopped on the metro to Passeig de Gracia to join a free Gaudi walking tour with . We started in front of the iconic Casa Batllo — but we didn't talk about this Gaudi work right away. First, we got a little history lesson about modernism in Barcelona. Back in the late 1800s, the area where Passeig de Gracia is today wasn't even part of Barcelona; it was a village of its own, connected to Barcelona by road. But, as the city got more and more crowded, wealthy citizens began moving further and further out so they could build bigger homes. Today, the block on which Casa Batllo sits is actually home to three major modernist works, all built in the early 1900s. There's Casa Lleó Morera (designed by architect Lluís Domènech i Montaner), with its floral designs. There's Casa Amatller (designed by Josep Puig i Cadafalch), designed for a famous chocolatier to loosely resemble a Flemish house. And there's Casa Batllo, designed by Gaudi. Casa Batllo is one of the most recognizable Gaudi works in Barcelona. It was originally built in the 1870s, and then Gaudi was hired in the early 1900s to redesign it by the Batllo family, who wanted the tallest, most noticeable house on the prestigious block. The result is a house that certainly is eye-catching, with oval windows, mosaic details, and a tiled roof that looks like the back of a dragon. In fact, Casa Batllo is often called the “Dragon House,” or the “House of Bones” because of the skeleton-like exterior. Inside, Casa Batllo is just as interesting as it is outside. The rooms contain very few straight lines. In the middle of the house, a tiled “light well” pulls sunlight down into the lower floors in a pretty genius design. On the roof, you can see the dragon's back, as well as the home's interesting chimneys. Even though the other Modernist homes on the block are impressive, this one is hands-down my favorite. TIP: Go early in the morning or late in the afternoon to avoid long lines at the house, or book your ticket in advance online. The second major stop on my Gaudi walking tour was the Sagrada Familia (or, more correctly, Basílica i Temple Expiatori de la Sagrada Família) — easily Gaudi's most famous work in Barcelona. This Roman Catholic church is regarded as Gaudi's opus; his most impressive work of art. Construction of the church began in 1882, and Gaudi got involved in 1883, designing a Modernist masterpiece that is completely and utterly unique. In the early 1900s, Gaudi became obsessed with the project, to the point where he spent the last decades of his life living in the crypt as work progressed. The church was not even 25% complete when Gaudi died from injuries suffered in a tram accident in 1926, and in fact the church STILL isn't completed today. The church has two different facades — the Nativity facade (completed by Gaudi) and the Passion facade (still being worked on). You can see the clear difference in style between the two facades; no one can completely replicate Gaudi's style, even when working off his original designs. Inside, the church will make your jaw drop. The towering detailed ceiling, the huge stained glass windows, and the sheer scale of the building makes the Sagrada Familia a must-visit. No matter how many churches you've seen on your travels, I promise you've never seen one like this. TIP: Lines to buy tickets at Sagrada Familia can be really long. Book a ahead of time, which lets you skip the line and just show up at your appointed time. Park Guell wasn't included in my Gaudi walking tour, but my guide highly suggested I check it out. So I hopped on the metro and walked up the hill to the park, located on Carmel Hill. The park — which covers about 45 acres — was built between 1900 and 1914, designed by Gaudi and funded by Eusebi Güell. Park Guell was originally conceived as a prestigious housing development surrounded by beautiful nature. The housing part of the original plan was never fully realized, however, and the park was opened to the public in 1926. Today, Park Guell has two major sections: the free public section filled with gardens and shaded passage ways, and the “Monumental Zone,” which now requires a timed ticket to visit. The Monumental Zone is where you'll find Gaudi's stamps: the gingerbread-like houses at the park's entrance, the mosaic salamander, the 84 Doric columns in the Hypostyle Room, and the serpentine mosaic bench encircling the terrace. The park can get really crowded during high season (hence why you now need a ticket for the most popular part of the park), but I really enjoyed spending a couple hours there. TIP: Just like for Sagrada Familia, it's smart to for Park Guell online before you go. This will save you standing in line, and will ensure you get to visit the park when you want to. The last notable Gaudi work in Barcelona is Casa Mila (also known as La Padrera or “the Rock Quarry”). We saw this on my Gaudi walking tour from across the street, and learned that it's basically considered an architectural marvel because of the fact that it has no straight lines. It was the last civil work designed by Gaudi in Barcelona, built between 1906 and 1912 (after that, Gaudi devoted all of his attention to Sagrada Familia). Casa Mila was commissioned by Pere Milà i Camps and his wife Roser Segimon i Artells, and is recognizable by its wavy stone exterior, twisted wrought iron balconies, and chimneys on the roof. Gaudi — who was inspired by religion as much as nature in many of his designs — originally had a large Virgin Mary statue sitting on the roof of Casa Mila. But Roser Segimon i Artells hated it and ordered Gaudi to move it. So he did — to the rooftop directly across from Casa Mila, so the lady of the house would still have to look at it every day. That Gaudi — what a cheeky guy. Today, La Padrera is a cultural center, and also home to some private apartments and offices. A visit gets you access to two separate museum spaces, as well as an in-depth look into Gaudi's style and work. TIP: Like with the other Gaudi buildings, you can book a ticket for Casa Milo online. 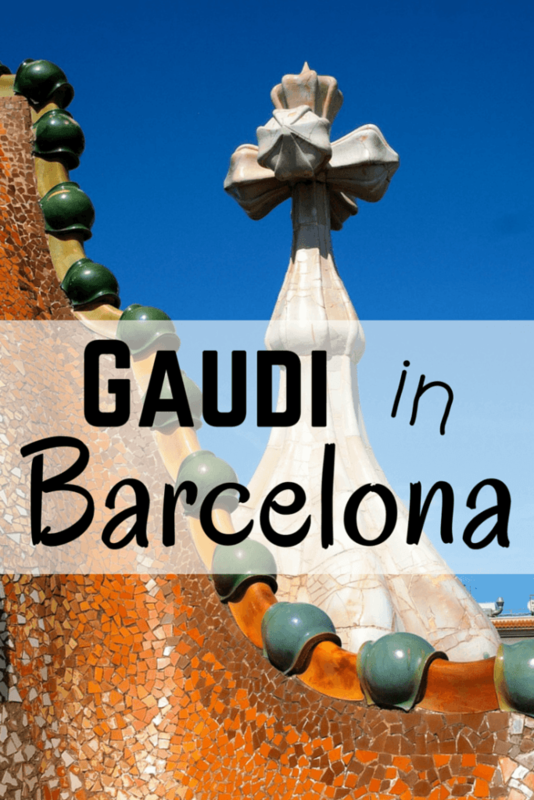 Visiting all of these Gaudi sites in Barcelona certainly doesn't make for a cheap visit. BUT, if you're interested in learning more about this unique form of architecture, there's really no better way to do it. All of these buildings (along with a few other Gaudi works) are now recognized by UNESCO for their creativity and innovation. If you're going to Barcelona to see some Gaudi works, you'll want a nice place to rest your head at night! I can personally recommend the . I got a small room with a comfy bed for a really reasonable price right on Gran Via. Are you a fan of architecture? How about Antoni Gaudi? Have you visited any of these places in Barcelona? Oh I loved all your pictures. The church was amazing!!! SO amazing! I’ll probably do a whole photo post of pictures from inside, because I took so many! Cant wait to see more. I went to your flickr page to see what else you had. I am obsessed with Gaudi too. I have been to all of these twice and will probably visit most of them again and a couple of others next time I visit Barcelona. I can’t get enough of them. I didn’t get to go inside Casa Mila this time around, so I’ll definitely go there next time! And no doubt I’ll go to Sagrada Familia again – it’s incredible! I have no idea how he came up with those designs! What a mind. Great photos and info! I love Gaudi and saw all these places (Park Guell twice) in Barcelona zipping around on my rented metro-friendly folding bike, but the Palau de la Musica Catalana (Domenech i Montaner) completely blew my mind. Pictures online barely hint at its coolness in every artistic aspect. It was good to locate it (central but tricky) and buy a ticket the day before. His UNESCO Hospital de St. Pau was fascinating as well. Next time I’ll definitely try to see more of his stuff! What an excellent post! It brought back such great memories. Your photos are beautiful. We went as a family to Sagrada and Casa Batlo and the Park but we didn’t enter Casa Mila (for a family of four, the entry fees were all adding up!). The kids loved them and so did we. Gaudi was an amazing man – Barcelona is so proud of him. We already have plans to go back as soon as the Sagrada is finished – although, I’m sure the kids will be grown by then! Yes, the entry fees definitely CAN add up, but I’m still glad I got to see what I did. It definitely would be interesting to go back to Sagrada once it’s finished! Though who knows when that will be… I heard they are shooting for 2026 (100th anniversary of Gaudi’s death), but I dunno… they still have a LOT of work to do! Sagrada Familia is definitely unique! It’s kind of like a person, though – I wouldn’t necessarily call it beautiful on the outside, but on the inside it’s gorgeous! Barcelona was our last port of call during a cruise my parents and I took in summer 2004. (We sailed with Princess) We visited the Sagrada Familia on our bus tour. The cathedral was profiled on CBS’s “60 Minutes” a couple months ago. Did you get to go inside the church? I hope so! It’s such an incredible work of architecture! Yes, the more I saw, the more I wanted to see! But the entrance fees definitely add up, so I totally understand people who only decide to go inside one or two. I bloody love Gaudi’s work. I was a total fanboy of his as a teenager, which was sparked by studying his life and work both in Spanish class and in art class. I couldn’t get enough! It’s been a long time since I saw any of his works in person, so I should definitely rectify that soon! Yes you definitely should! Plus, if you haven’t seen the Sagrada Familia lately, it’s changed quite a bit in the last few years! It has to be some of the most unique and surreal architecture around. It’s certainly worked well for Barcelona. Definitely very unique – won’t find anything like it anywhere else! PS: I have hundreds of slides of our visit. There was no fees involved back then and we were afforded access to the roof areas and the interiors of many sites. Park Guell was another favorite as we played “Hide-and-Seek” among the supporting columns!!! Ooo that IS a difficult choice, though – I can understand your dilemma! I probably would go for Spain, for both the architecture and food! Plus, it gets cold in some parts of Turkey in the fall/winter – you’d probably have better weather in Spain, too! Seeing the inside (not to mention the amazing outside!) of La Sagrada Familia was literally a life-changing, paradigm-shifting moment for me. It inspired me to believe that the impossible was possible. Never had I been so moved by architecture. The genius behind so many thousands of details left me in awe. I have a date already scheduled in my calendar for 2026 to see the final result. Amazing! It’s such a mind-boggling building. Definitely a highlight of Barcelona for me! I absolutely adore Gaudi and have visited all of his buildings at least 4 or 5 times. La Sagrada Família is such an exquisite piece of art that I always shed a tear or two of outright emotion whenever I’m inside. I hope that it never gets completed as they’ve been working on it since 1882. Anton Gaudi would be so proud! It’s actually cheaper if you book it online, if you’re a student or family, or if you book with a hop-on-hop-off bus company, as they have discounts! Sagrada Familia just about brought tears to my eyes, too! I’ve only had that happen in about two other buildings on earth (Hagia Sophia and St. Peter’s), so that’s definitely saying something! I kind of secretly hope they never finish it either. I visited Barcelona in 2000 and fell in love with the architecture of Gaudi – fascinating and awesome to say the least! Felt like a visit to some fairyland! Somehow could not visit the Sagrada Familia. Maybe one day will manage to visit it. There are so many great examples of Gaudi’s work that it’s hard to see them all, and as you’ve shown, each one is more beautiful than the last one visited. One I’d HIGHLY recommend is Torre Bellesguard. It’s a little more “off the path” than the traditional buildings that people visit, but well worth the visit. It’s not all that far from Parc Guell either. Thanks for that suggestion! I’ll have to add that to my list for next time! Akatuki, what a beautiful architectural building that the Gaudi is. Looking at it makes me wonder just how much work the architects that built that structure must have done. From the structure of it, do you think architects now days use the same pattern and design found in the building? Gaudi was one of a kind, for sure. The crew working on the Sagrada Familia today are still working off of Gaudi’s original plans, but no one can build quite like he did! Definitely! He was responsible for so much all over Spain. Entry to some of the buildings can get pricey if you want to visit more than one, but the architecture really is stunning and so unique! Thanks for the suggestions! I definitely would love to eventually see more of his work in other parts of Spain! Great Posts, thanks for the sharing best architecture of Antoni Gaud in Barcelona. He was a Spanish Catalan architect from Reus/Riudoms and the best known practitioner of Catalan Modernism. Gaudí’s works reflect an individualized and distinctive style. Most are located in Barcelona, including his magnum opus, the Sagrada Family. Gaudí’s work was influenced by his passions in life: architecture, nature, and religion. Gaudí considered every detail of his creations and integrated into his architecture such crafts as ceramics, stained glass, wrought ironwork forging and carpentry. He also introduced new techniques in the treatment of materials, such as trencadís which used waste ceramic pieces. Gaudí’s work enjoys global popularity and continuing admiration and study by architects. His masterpiece, the still-incomplete Sagrada Família, is the most-visited monument in Spain. Between 1984 and 2005, seven of his works were declared World Heritage Sites by UNESCO. Gaudí’s Roman Catholic faith intensified during his life and religious images appear in many of his works. This earned him the nickname “God’s Architect” and led to calls for his beatification. I am lucky enough to live in Barcelona and the more I know about his work, the more I think he was a genius. The way he got inspiration from Mother Nature is fascinating and the intricate details are just everywhere (even on sidewalks and lamps on the street!). I agree! “Genius” is really the only word to describe him! I loved all your photos! Gaudi’s work is amazing. Casa Batllo is so unique inside and out. Was Sagrada Familia your favorite stop of the whole trip? Sagrada Familia was definitely very special! It’s probably my favorite Gaudi building I saw in Barcelona, yes. We just returned from Barcelona. I was fascinated by the architecture there. So intricate. I LOVE Gaudi and all the other cool architecture in Barcelona! I went to Barcelona in 1999 for the Millenium celebrations and found it to be an amazing place. Unfortunately, I didn’t get to see the inside of the Gaudi exhibition because it was closed for the holidays. 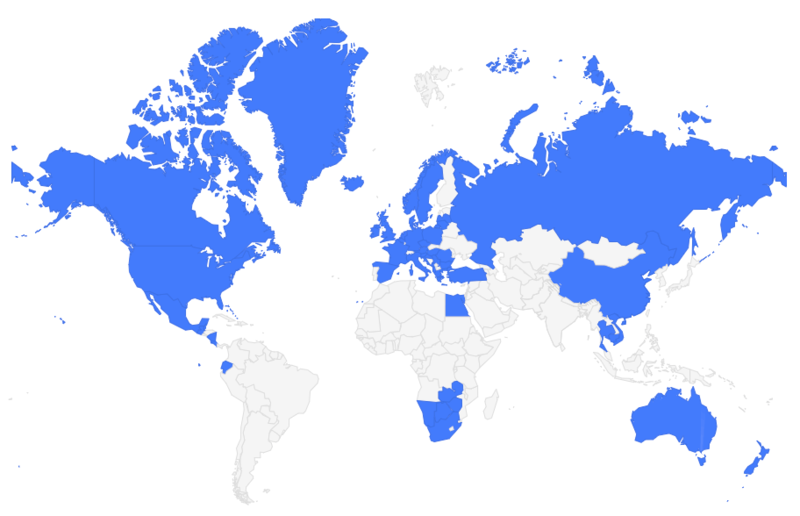 Ah, well that’s a very good reason to go back someday then! I live in Barcelona since 2000 and the more I know about his work, I think he was a genius. I love Gaudi as well. It makes Barcelona an even greater city. The lines however for, for example Sagrada familia are just very long and I think the city is getting overtouristy. Don’t get me wrong still think it is a wonderful city but the amount of tourist is sometimes annoying. I have have studied in Barcelona and have had a great time here. I would however recommend taking some Spanish lessons if you are going here for a while since not a lot of people speak Spanish. Barcelona is quite famously dealing with issues of overtourism right now, which is a shame since it’s such a cool city! I’d still tell people to go – but maybe try to visit in the low season!